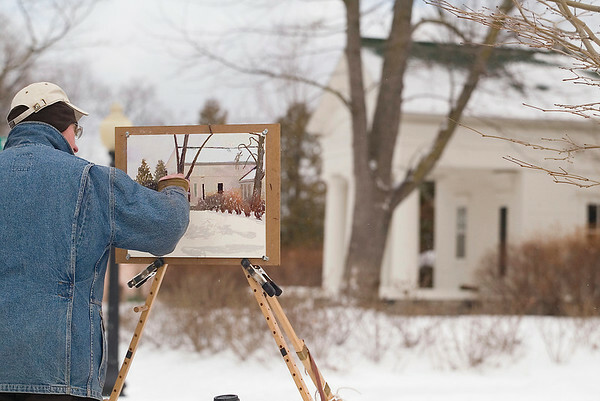 William Hosner, of Traverse City, uses pastels to paint a house on Boardman Avenue. Hosner had been working for a couple of hours, but planned to break for the day to warm his hands. "When you first get out here they hurt like crazy," he said. "But you know, after a while, they get used to it."